One park we originally hadn’t planned to visit, we ended up going to today. And we ended up having more fun than we originally thought we would. 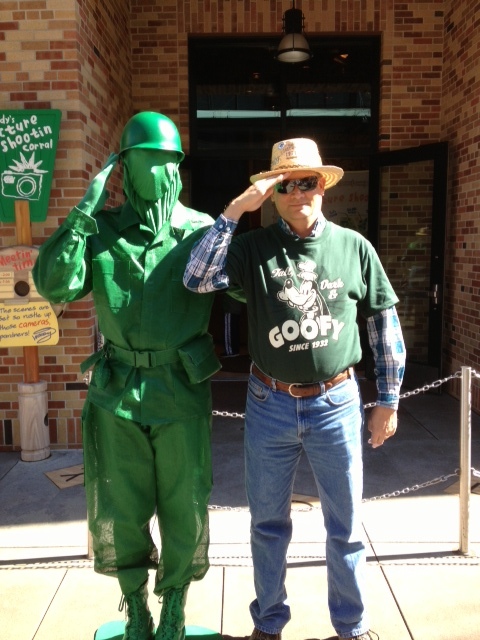 Disney’s Hollywood Studios was a surprising treat. There was everything from an excellent walk-through history of Walt Disney’s life to fast and stomach churning rides that Malcolm likes. 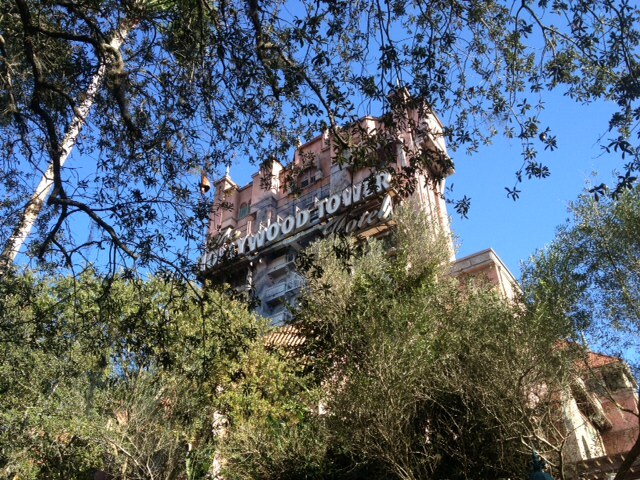 Malcolm rode the scary elevator-based ride The Tower of Terror. He reports that it was not only fun, but the usual Disney attention to detail for the entire experience was there in spades. 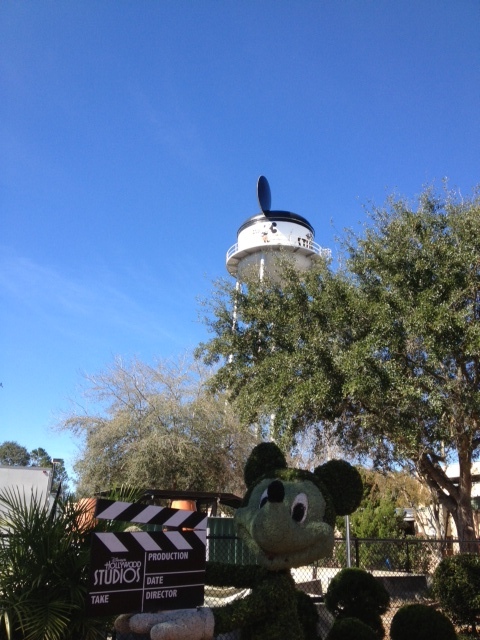 We also rode the “Behind the Scenes” ride, which was OK. Val got a good picture of the Disney water tower with Mickey in the foreground. 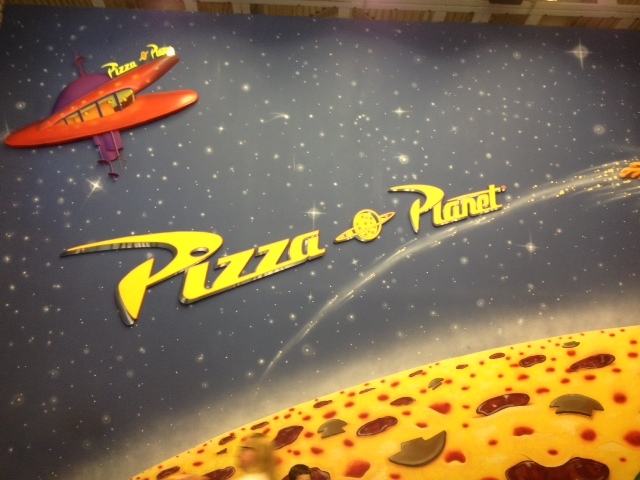 Of course, visiting the Pixar section wouldn’t be complete without a stop at Pizza Planet for lunch. Malcolm was disappointed that pushing the straw up and down in his drink didn’t make the distinctive squawking sound (if you saw Toy Story, you’d understand). Every Disney park has it’s centerpiece. 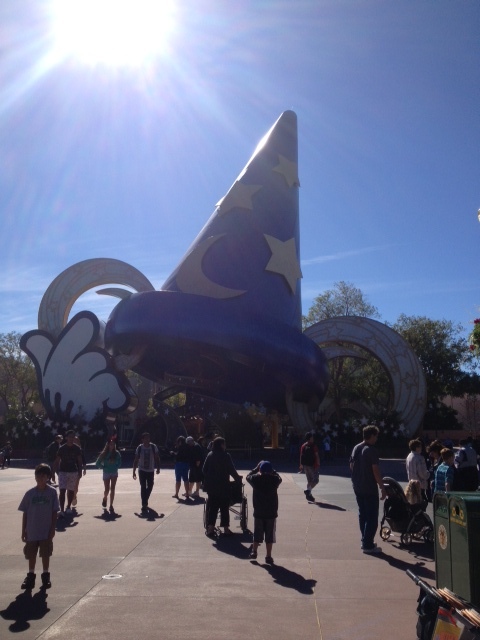 The centerpiece in Hollywood Studios is this iconic hat. We left the park mid-afternoon and rode the bus back over to the campground. We stopped by to check on the horseback trail rides and got the number for that. We’ll be riding tomorrow at 10:00 am. We dropped back by the trailer to freshen up a bit and grab some jackets, as it was getting chilly here. Then it was off to the boats to ride over to the Contemporary Resort for our dinner reservation at “The Wave” restaurant. Malcolm voted the food there as the best he has had since we’ve been here. 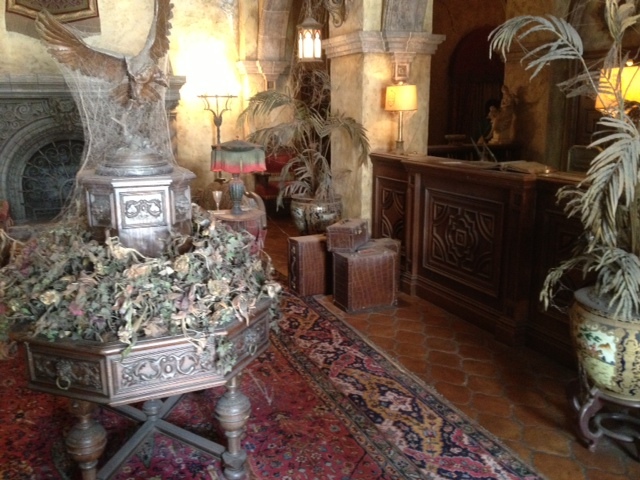 We also made dinner reservations for a restaurant at Wilderness Lodge tomorrow night. Tomorrow (Friday) is our last full day on Disney property. We roll out Saturday morning to head towards home.